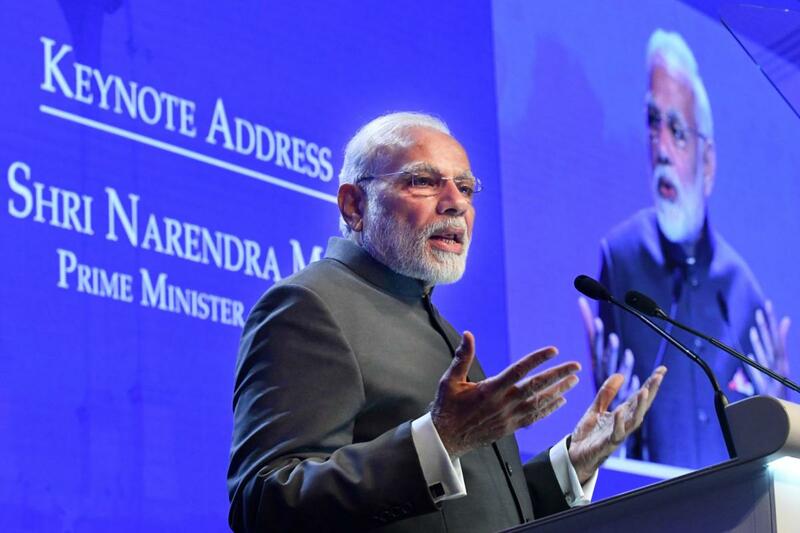 The world will have a better future when India and China work together, Prime Minister Narendra Modi said at a landmark address in Singapore, cautioning against that growing mutual insecurity, rising military expenditure and the temptations of repeating the “worst lessons of security”. Speaking at the Shangri-la Dialogue -- the first Indian Prime Minister to address the gathering – Modi said that strong and stable relations between India and China are an important factor for global peace and progress and that the two nation need to work together “in trust and confidence, sensitive to each other’s interests”. “Asia of rivalry will hold us all back. Asia of cooperation will shape this century,” the Prime Minister said, emphasising that differences must not be allowed to become disputes. Speaking out on the Indian position on strategic matters, the PM said that New Delhi will work individually with nations or in multi-nation formats for a stable region but will not take sides. “Our friendships are not alliances of containment. We choose the side of principles and values, of peace and progress, not one side of a divide or the other. Our relationships across the world speak for our position,” he said. While he referred to his two-day informal summit with President Xi Jinping in April, PM Modi cautioned that connectivity initiatives in the region need to be built on bridges of trust, in an apparent reference to China’s belt and road initiative. “These initiatives must be based on respect for sovereignty and territorial integrity, consultation, good governance, transparency, viability and sustainability. They must empower nations, not place them under impossible debt burden. They must promote trade, not strategic competition,” he said. Spelling out India’s vision for a rules based international order, the PM said that the world is at a crossroad with the temptation of the worst lessons of history but a path where all nations can work together as equals is available. Identifying economic growth and global integration as positive factors, the PM said that the future is still far from certain due to shifts in global power and change in the character of global economy. “The foundations of the global order appear shaken. And, the future looks less certain. For all our progress, we live on the edge of uncertainty, of unsettled questions and unresolved disputes; contests and claims; and clashing visions and competing models,” he said.